Daniel S Tam was born and raised in Hong Kong. He immigrated to United States in 1977 with his wife; Shirley and three children age 7, 5 and 2. He finished his B.S. degree in business major at San Diego State University. He worked for an import company as a Chief Financial Officer while at the same time dedicated his time volunteering to serve the communities such as homeless at ST. Vincent De Paul, join force at San Diego Buddhist Association to expound the Buddha Dharma. He and his wife Shirley started visiting the prison inmates in 1995 and since then without any interruptions. 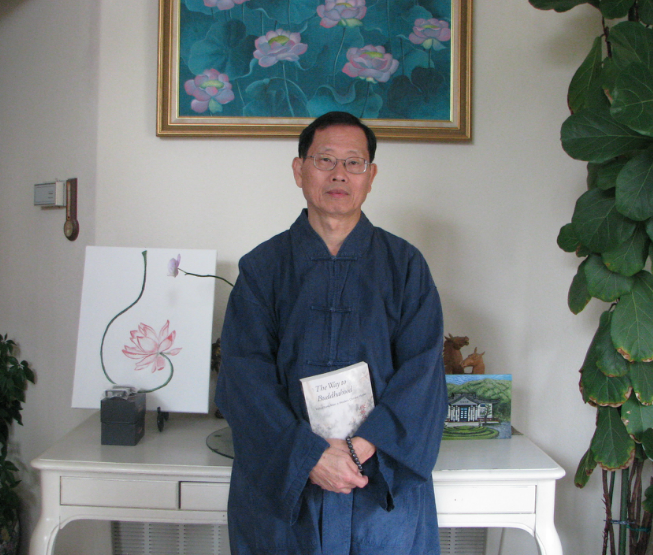 In 1997, he studied his master degree in Buddhism Philosophy at University of the West under the guidance of Prof. Lewis Lancaster who is one of the well-respected scholar in the world. He joined force with IBS and helped to establish a non-profit organization 501 ( c ) (3) status in 2004. During the course of visiting the prison at Calipatria State Prison, many inmates benefiting from his teaching and were touched by his compassionate action. After the inmates transferred to a lower level prisons, they sent in request for the further visit. Calipatria State Prison is not just a reference point of this prison visitation program but also fulfilling the main teaching of Buddhism – “ Dependent Origination”.